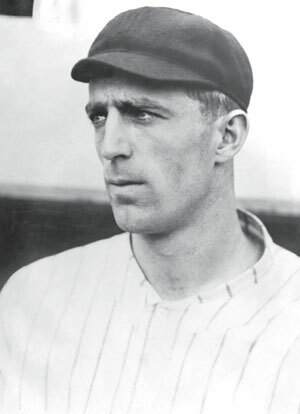 Best I can tell, the first reference to a ballplayer having a “cup of coffee” – or a short stint – in baseball referred to New York Giant Fred Merkle. Yes, Bonehead Merkle. The real “cup of coffee” players are those who play the shortest times in the big leagues. A game or two and not much more. Funner Fact: 52% of coffee drinkers would rather go without a shower in the morning than give up coffee. Just Plain Crazy Fact: French philosopher Voltaire was said to drink 40 to 50 cups of coffee a day. Three major league players had their single game “cup of coffee” on the 4th of July. It’s strange there have been only three, and none, that I can see, since 1885. 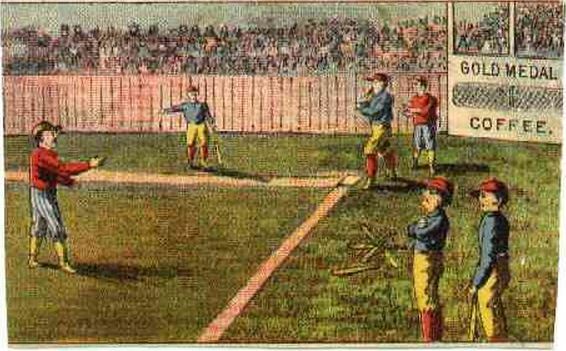 The Baltimore Orioles played the Louisville Eclipse on July 4, 1882. John Russ, a Louisville carpenter, may have played on a local team and had the opportunity for a one-day cup of coffee in the bigs when the Orioles came to town and needed a player to fill out the squad. Russ, 24, played centerfield and pitched, giving up three hits and one earned run over three innings, and went 1-for-3 at the plate. This might not sound like much, but it could get you a solid million-dollar bullpen job with teams today. The Orioles lost the game 7-1. Russ was the son of immigrants, his father a blacksmith, his mother a candymaker. He never ventured from Louisville and is listed in its directories over the years as a carpenter, plowmaker, and woodworker in a plow factory, until his death in 1912 from cirrhosis. 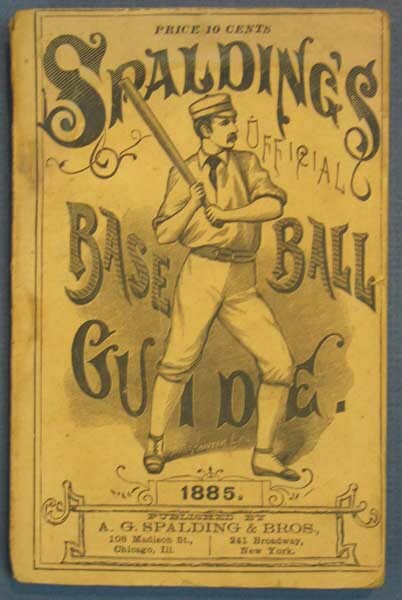 1882 was the inaugural season for the six-team American Association and the Orioles finished dead last. Their record, 19-54, put them 32.5 games out of first. Charlie Ingraham got his shot with the Baltimore Orioles the next year on July 4, 1883. He went 1-for-4 with a single, and had one error as catcher. It was a doubleheader for the Orioles, playing the Red Stockings in Cincinnati. The Orioles lost the first game 14-2 and won the second 8-7. Since we don’t know for sure which game was Charlie’s, let’s just let him win, ok? Ingraham was an Ohio native living by then in Chicago. He’s another case of a player who may have gotten scooped up by the Orioles for that one day, so that they could field enough players for the two games. In 1880, Ingraham was listed as a medical student in Chicago. This would mean he was planning to follow in his father’s footsteps. His father was a prominent physician and medical lecturer whose death in 1891 was covered by the Chicago Tribune. In the obituary, his son C.W. – our Charlie – is listed as a ballplayer in the Northwestern League, a minor league that had folded four seasons earlier. The Orioles finished last again in 1883 – 28-68 and 37 games out of first. Bill Collver, just 18, played his one and only big league game for the Boston Beaneaters on July 4, 1885. An outfielder, he went 0-for-4 at the plate that day, with one strikeout. The Beaneaters were in the middle of a roadtrip – a grueling one by today’s standards – that had begun on June 23 and would go through July 17. On July 4, they played a doubleheader against the Detroit Wolverines, losing the first game 8-3 and the second 11-6. 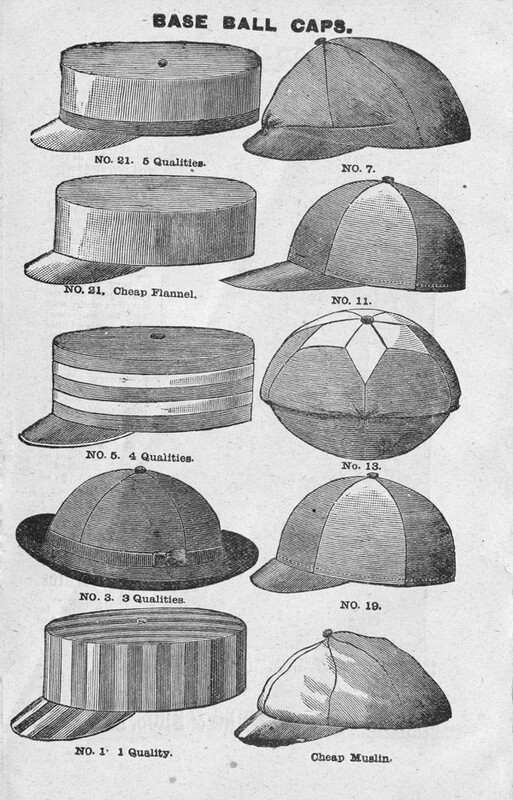 It’s unclear which loss Collver played in, but it’s likely that the Beaneaters, like the Orioles before them, just picked up Collver from a local team to help fill out their roster. Collver didn’t have much beyond that cup of coffee. He died in 1888, still in Detroit and just 21, of a “spinal disease,” which could mean meningitis, of which there was plenty in Detroit, or who knows? The Beaneaters finished their season 46-66 and finished fifth and 41 games out of first in the National League. The sad thing about a cup of coffee in baseball, is that someday it’s gonna be your last. And, unlike Mariano Rivera, Cal Ripken, and the other greats who chose when and where to drink their final cup, for most players, with names you’ll never know, the pot is emptied before they’ve had their fill. So, here’s to John and Charlie and Bill who had their cup of coffee, who lived the American Dream, even if it maybe wasn’t what they planned, and who are still remembered 130-some years later for just one day, just one game. This entry was posted in Baltimore Orioles, Baseball, Baseball History and tagged 19th Century Baseball, Coffee, Fourth of July, Fred Merkle by Jackie, The Baseball Bloggess. Bookmark the permalink. Great post. You know, it would be a cool promotion for a minor league team to every now and then use a local guy from a small town and put him into a game, just for fun. Thanks, Bill! Hey, I like that idea … minor league teams are always trying to be quirky, what a great promotion … just let someone have an at-bat. I’m sure there are all sorts of rules and regulations that would make MLB apoplectic, but I think it’s a great idea! I wonder if those players looked on their “big league” experience as a day in the sun or as a lost opportunity. Too bad we’ll never know.